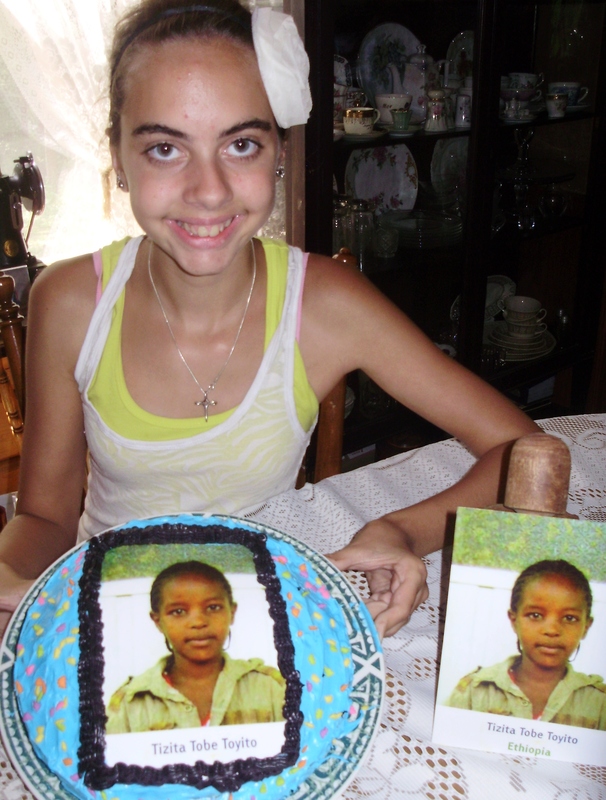 Haleigh, one of my granddaughter’s, is sponsoring a little girl in Ethiopia, Africa. Today is Tizita’s 10th birthday. 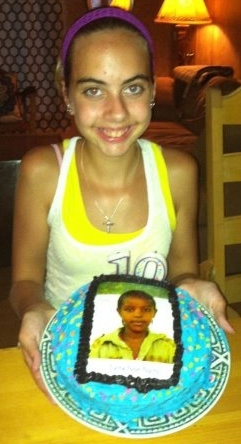 Haleigh had a birthday party for her, even though Tizita is in Africa and we’re here in Michigan. We were invited along with Haleigh’s best friend, Katherine. We took pictures so Haleigh will send them to her so she can see we all celebrated with her even though we’re far, far away. The first picture has a ten on it as candles. We lit them, sang Happy Birthday, Haleigh blew the candles out and we enjoyed cake and ice cream! 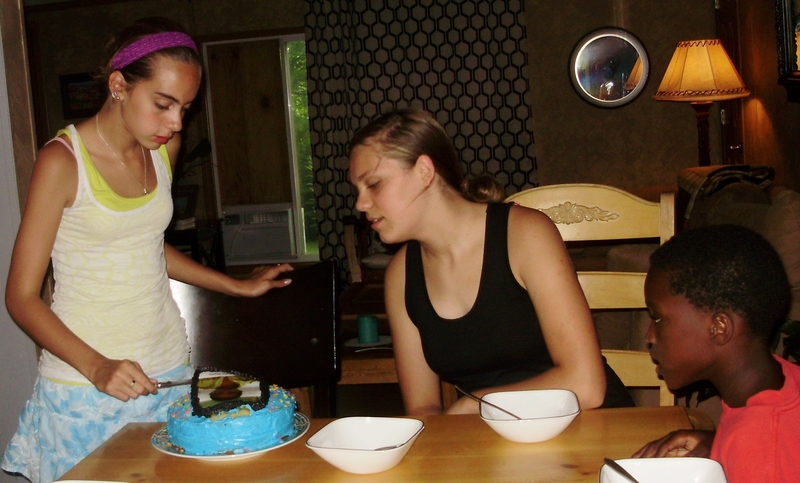 The second picture is Haleigh, Katherine and Armon: Haleigh is getting ready to cut the cake. Armon can hardly wait! Haleigh came over to my house today to bake the cake. Then she came back over to decorate it. She had ideas, big ideas…but none of them worked on a cake. We were discouraged until all of a sudden the idea came to us to use her picture! We scanned it off a booklet, printed out two copies and put one picture on the cake! We framed it with black decorative frosting. It turned out swell!!! This entry was posted in Adventure, Birthday, Cakes, Family, Friends, World and tagged Birthday, Children, Family, Friends, Fun, Grandchildren, World. Bookmark the permalink. Thanks so much for your good comment. Thanks Sydney! We really did have a good time. I hope Tizita understood what we did for her! I wish you could have been here too. Thanks for your good comment, Caroline!